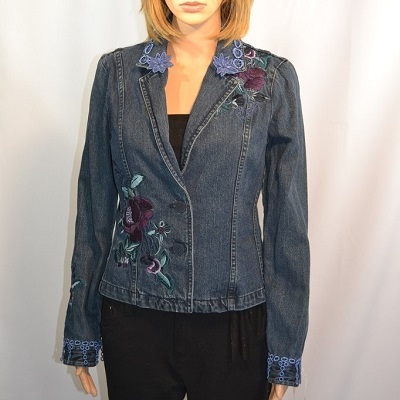 This Bohemian jean jacket is the new trend. 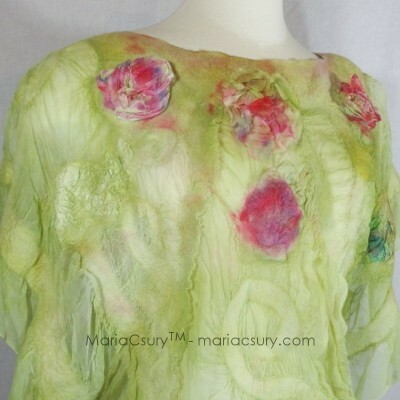 Embellished, flowers, snaps, metal buttons, small balls, lace. Care: Hand wash or machine wash in cold water. No iron because of the gold embellishment! 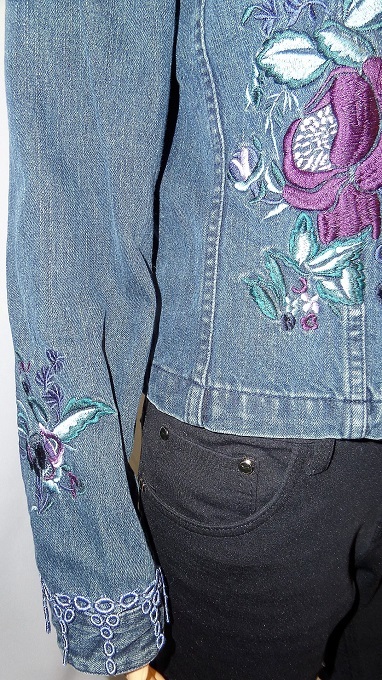 This Bohemian jean jacket is the new trend. These accessories are embellished with embroidered flowers, lace. 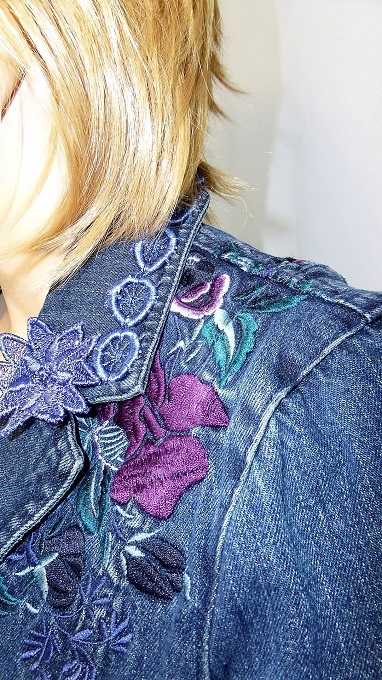 All motifs match to the jean jackets color. 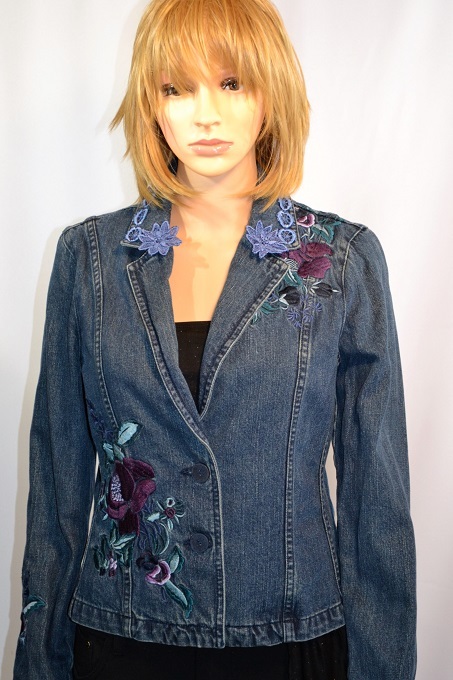 This jean jacket is an excellent gift for a woman’s wardrobe. 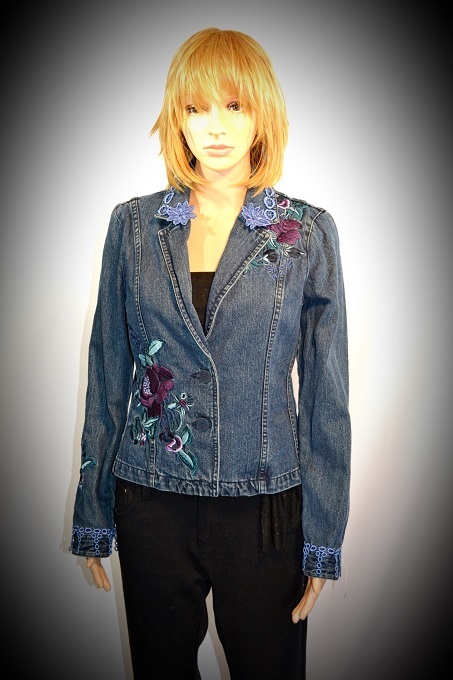 All of this Bohemian jean jacket is one of a kind. 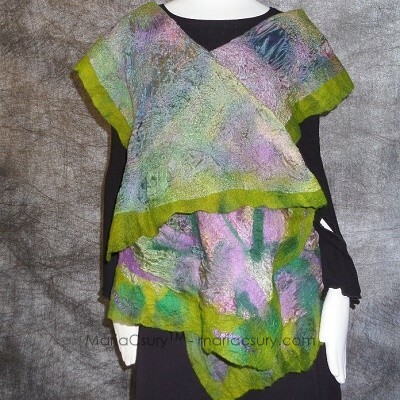 Custom order is available. 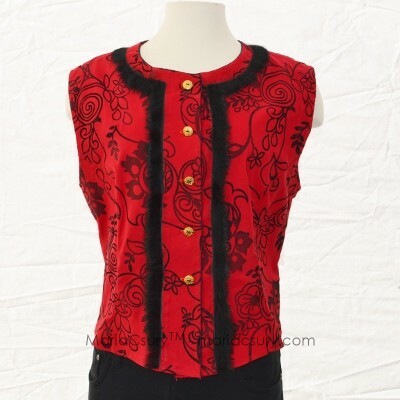 Send me your jacket and I embellish in 1 week.